Steve runs a mortgage advisory group in Calgary. He has hired 3 part time employees to take care the business. He needs a phone system that can have physical extensions and virtual extensions, so sometimes his employee can work at home as well. Multiple locations travel agency looking for work force optimization. Lily Wang is the store manager of two stores located in Richmond and Burnaby, Vancouver. Each location has 3 business line and 3 staff take care the call-in and walk-in customers. Lily wants to optimize the work force in the store and reduce the phone bills. Anthony runs a consultancy company frequently need to contact customer nationwide. 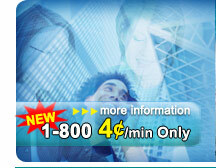 He has two business lines and was paying $50~$100 extra each month for the long distance call at 10 cent/min. In order to find a way to save, Anthony moves to hosted PBX services. Jenny just move her company to another building few block away, and just to find out that her phone company cannot help her keep the business phone number. They said because her new location is in different city division, different phone switch, so she has to pick a new number for new location. Jenny seeking for help. A company with good partnership. Sophia and 4 of her college friends from different cities just form a new on-line company that sales cosmetic products. Sometimes, the customers need to call in to talk to live people to understand the benefit of the products. Without hiring customer support personal, they decide to answer the call themselves. Because each partner is located in different cities, they need to find a way to co-ordinate this partnership. Jason love all the new gears. He got iPad, iPhone, and Android Smart Phone. He gave his sales the iPad to represent the products to customers on site. He was thinking to discard his old phone system and use the new VoIP technology to take advantage of his new gears. Without purchasing new phone system, Jason take advantage of Hosted PBX services. The hosted PBX service was setup so all his new gear can become phone extension to him. Since his sales always has iPad with them, he install the application on iPad so it will able to act as IP-Phone extension to receive and make call. He also makes his Android smart phone as one of the extension at home, so he can sometimes pickups the phone while not in the office.